Surprise news arrived last week when NYK announced it was selling Crystal Cruises to Star Cruises owners Genting Hong Kong, and that a third ultra-luxury ship would be built. Elsewhere, Royal Caribbean Cruises announced that it was transferring its Splendour of the Seas to affiliate TUI Cruises for operation by TUI Group’s UK affiliate Thomson Cruises, something that will introduce balconies to the UK operator’s fleet. 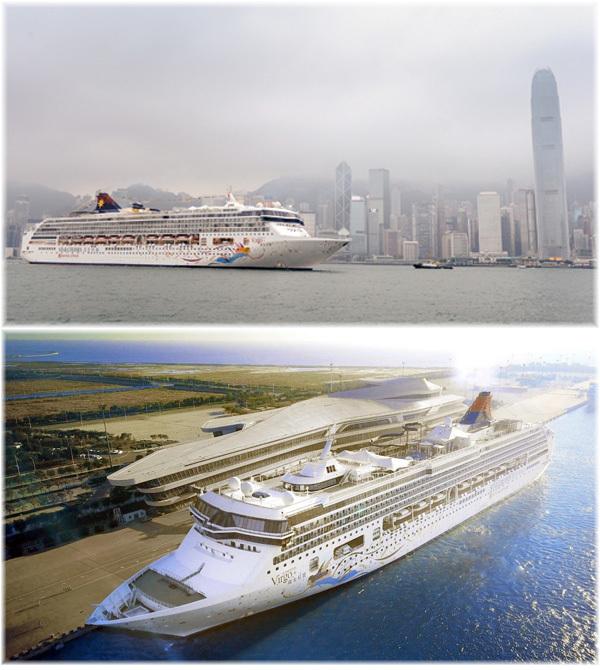 In a surprise announcement last week, Nippon Yusen Kaisha (NYK) announced that it had entered into an agreement with Star Cruises owner Genting Hong Kong (GHK), to sell Crystal Cruises to GHK. The sale is expected to close in the second quarter of 2015. Crystal Cruises was founded by NYK in 1988 and introduced its first ship, the 940-berth Crystal Harmony, now trading as NYK’s Asuka II, in 1990. GHK wholly owns Star Cruises, and has a 25% shareholding in Norwegian Cruise Line, which now also includes Prestige Cruise Holdings. With the support of GHK, Crystal Cruises’ fleet size will build a third ultra-luxury cruise ship for its top-rated fleet of five-star ships. Crystal’s current fleet consists of the 960-berth Crystal Symphony and 1090-berth Crystal Serenity. Established in 1993, GHK is part of the Genting Group, a global hospitality and leisure company with business in over twenty countries, including in the United States New York, Florida and Nevada, as well as the nearby Bahamas. 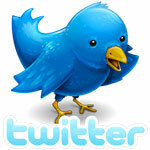 GHK is listed on the Hong Kong Stock Exchange and also on the Singapore Stock Exchange. It is thought, however, that the NYK officers who presently serve on board will revert to the NYK fleet. 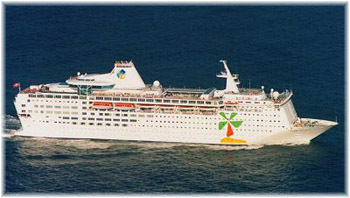 Although not generally credited for it, Genting’s Star Cruises was the originator of the Freestyle Cruising concept, which it introduced with its 1,976-berth multiple (16) dining venue SuperStar Leo of 1998 and SuperStar Virgo of 1999. The SuperStar Leo now sails as the Norwegian Spirit and a number of Star’s other Meyer Werft-built newbuildings became the backbone of the present Norwegian fleet when Star transferred them to Norwegian to expand its North American business. GHK has agreed to acquire Crystal Cruises for US$550 million in cash, subject to certain adjustments up to a maximum of $600 million after closing. Consideration has been determined on a cash-free and debt-free basis, translating into an enterprise value to lower berth ratio of approximately $276,000. By comparison with other top end ships on order today, Regent’s Seven Seas Explorer, due in 2016, comes to $609,750 per berth and Viking Cruises’ Viking Star, due in May, $308,000. Seabourn Encore, due later in 2016, will come top $447,000 per berth, but these are of course new ship values. Cruise line circles have recently been circulating a warning for Crystal management and agents. Fifteen years ago, when Star Cruises set up to market its newer ships in Europe, management and agents were asked to keep their mobile telephones switched on twenty-four hours day. Similar warnings have recently begun to emerge, especially if Crystal slips back into losses, for which it was sometimes known. For the year ended March 31, 2014, Crystal reported net profit of $8.9 million, up from a loss of $45 million the year before. Also last week, Royal Caribbean Cruises announced it had agreed to transfer the 1,830-berth Splendour of the Seas to TUI Cruises of Germany, which will allocate the vessel to TUI Group UK-based subsidiary Thomson Cruises next summer. There, she will replace the 1,504-berth Island Escape. Four other ships operated by Thomson Cruises bring TUI UK’s cruising fleet to five ships. Splendour of the Seas was built by Chantiers de l’Atlantique at St Nazaire and joined Royal Caribbean International in 1996. While TUI Cruises is a joint venture of TUI Group and Royal Caribbean Cruises, the ship will be operated by TUI Group’s wholly-owned UK cruise subsidiary. 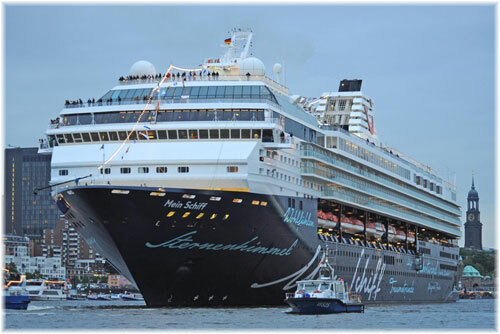 With TUI Cruises presently in the midst of building four new ships in Finland, it is an open question as to whether TUI Cruises’ first duo of ex-Celebrity ships, the 1,948-berth Mein Schiff 1 and 1,870-berth Mein Schiff 2, might find their way into the Thomson Cruises fleet as TUI Cruises’ third and fourth newbuildings are delivered in 2016 and 2017. Thomson Cruises’ present fleet consists of the 1,254-berth Thomson Celebration and Thomson Spirit (built as Holland America’s Noordam and Nieuw Amsterdam in 1983-84), the 1,506-berth Thomson Dream (built as Home Line’s Homeric in 1986) and 1,462-berth Thomson Majesty (built as Majesty Cruise Line’s Royal Majesty in 1992). Of these ships, only the Thomson Dream has six balconies. The Splendour of the Seas, by comparison, has 355. Founded in 1965 by Canadian press magnate Lord Thomson of Fleet, who owned The Times and The Sunday Times, Thomson soon built a dominant position in the British tour operators market, and in 1973 chartered two ships from Greek owners. But within a few years, after the fuel price peak of 1974, the Thomson Cruises operation was closed. 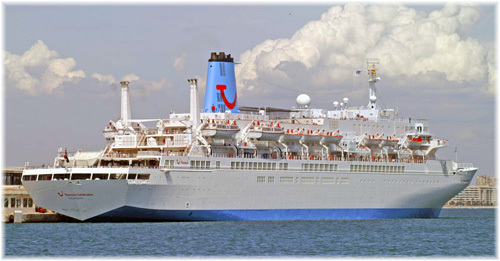 In 1995, however, partly as a reaction to then rival Airtours going into the cruise business, Thomson revived its cruise operation. The first ship in the revived operation was 500-berth Sapphire, chartered from Louis Cruise Lines. Sapphire had become Princess Cruises’ second ship, trading as the Princess Italia, in 1967. The Sapphire was followed by several other chartered vessels, among which a favourite was the 1,050-berth Topaz, which had been Carnival Cruise Line’s second cruise ship when she became the Carnivale in 1975. More is bound to follow from TUI Cruises and Thomson Cruises after parent companies TUI AG and TUI Travel UK merged in the week before Christmas last year to form TUI Group.